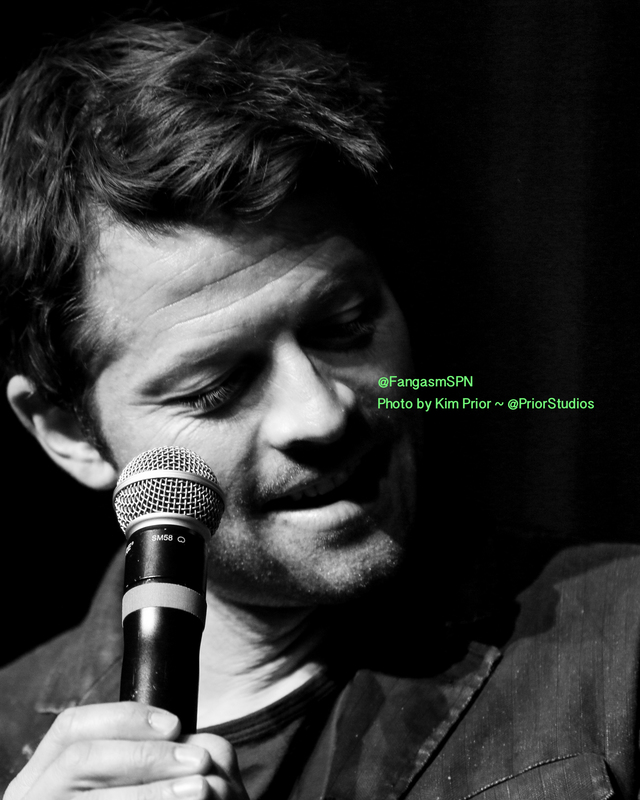 Happy Ten Years on Supernatural, Misha Collins! It was ten years ago that the character of Castiel was introduced on Supernatural, in one of the most dramatic and powerful entrances of any fictional character ever. 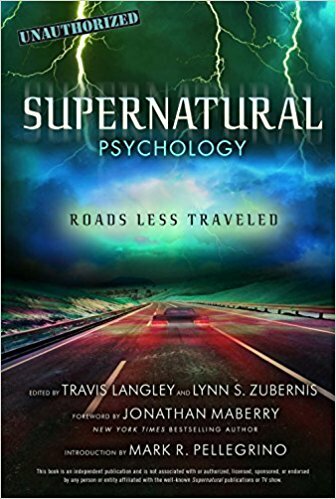 We were writing Fangasm Supernatural Fangirls at the time, and sat down with brand new guest actor Misha Collins shortly after Lazarus Rising aired, so I thought I’d share a few excerpts form that chat in honor of the 10th anniversary. Misha had just finished filming and changed into faded vintage jeans and a tee shirt, catching us off guard because he didn’t look much like the trench-coated angel we’d seen onscreen! He was so new to the show and the whole idea of fandom that he didn’t really know what fan reaction to his character was, so asked us. Lynn and Kathy: Fans don’t always take well to new characters on the show, but they did to your character. 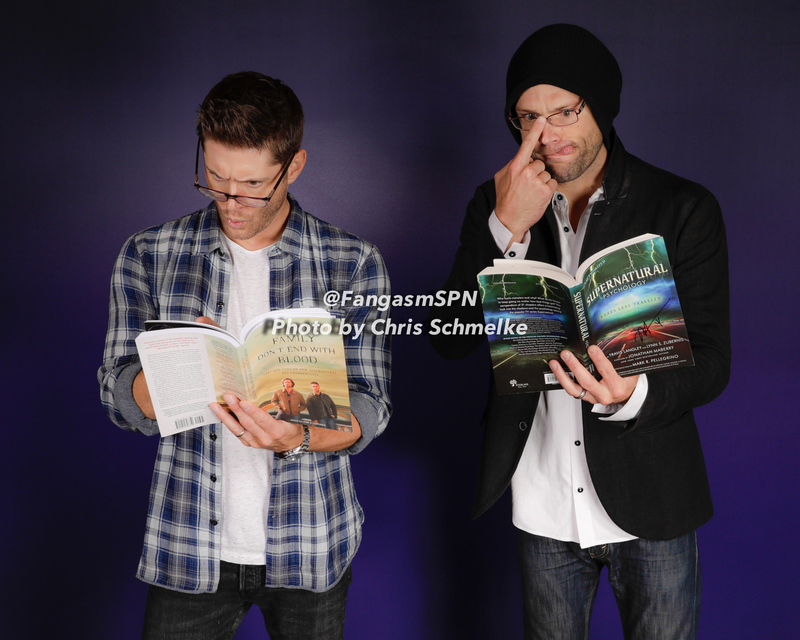 Misha: Oh I see. You hated the character. Lynn: Did I say that?? Clearly Misha’s personality shone through even in the first ten minutes of chatting with him. Luckily. Misha: (laughing) I think part of it is that it was such an interesting scene. The character is a super cool character and it was a super cool introduction to the character. Misha: Just the way it was built up, I think that made people receptive to Castiel. Lynn: I always wonder if you can feel in the moment when some of your scenes are going to be very good and some of your interactions very powerful. 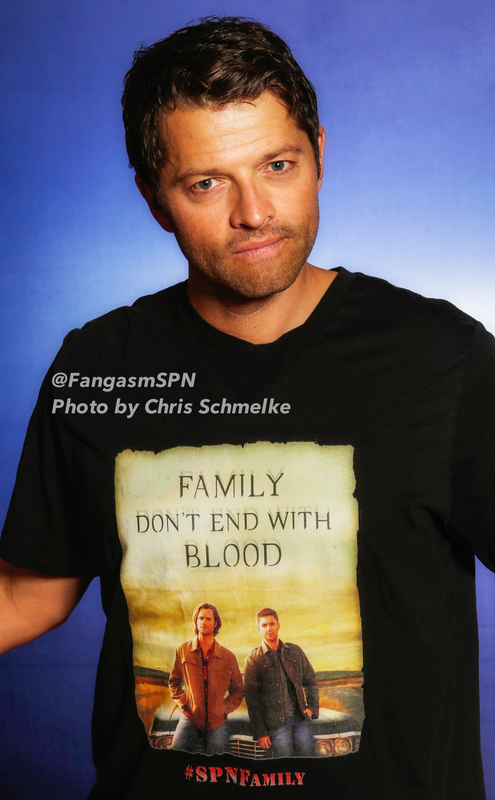 Misha: No, never. I’m not very good at telling. I think the things that are horrible actually turn out to be the best. Lynn: Luckily you’re not editing the show. Kathy: The first online community dedicated to Castiel was set up 42 minutes after the episode aired. 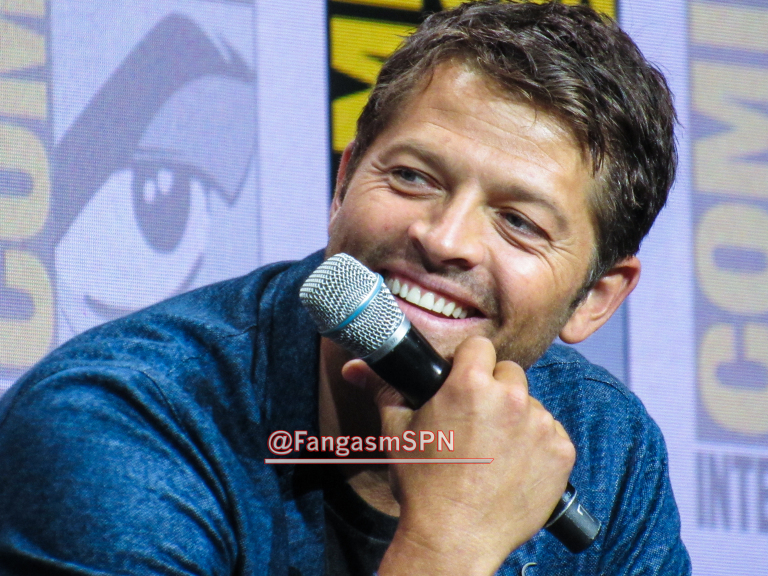 I’m not sure we ever laughed so much in an interview as we did that first chat with Misha. We talked about his previous roles on Nip/Tuck and 24 and Charmed, about his childhood and how that led him to acting, about his own lack of experience with being a fan. And he asked us as many questions as we asked him – about conventions (he was about to do his first one), about fandom, about shipping, you name it! This was an entirely new experience for Misha, and he was in the very beginning stages of processing it and figuring out what it all meant. Misha: I had no idea what I was walking into when I went in to audition for this show. Lynn: What did make you audition? Misha: The desire for a job. I think I didn’t even realize until after the audition that it was for a regular, I thought it was a guest star. My manager told me I wasn’t paying attention. 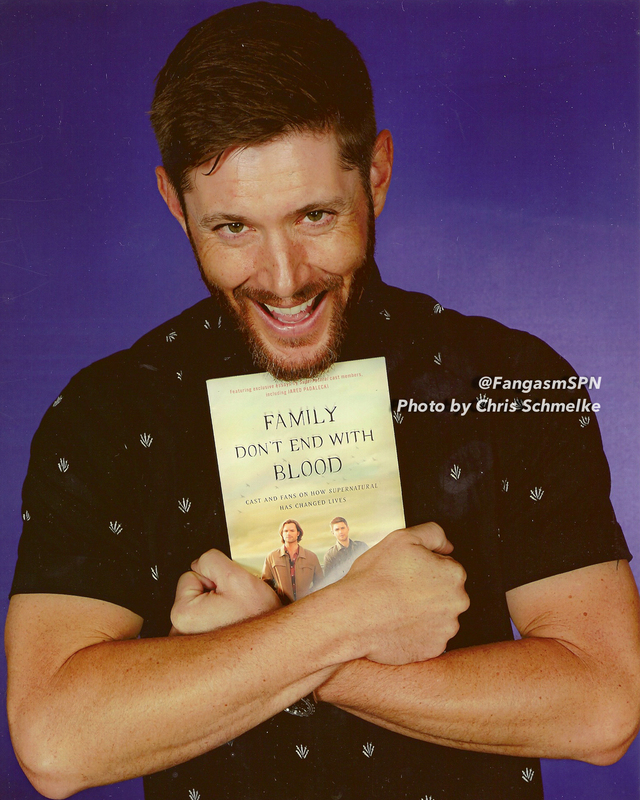 It was a demon that I was auditioning for – Kripke didn’t want that to get out to fandom. Lynn: I love Eric, he’s always messing with the names. 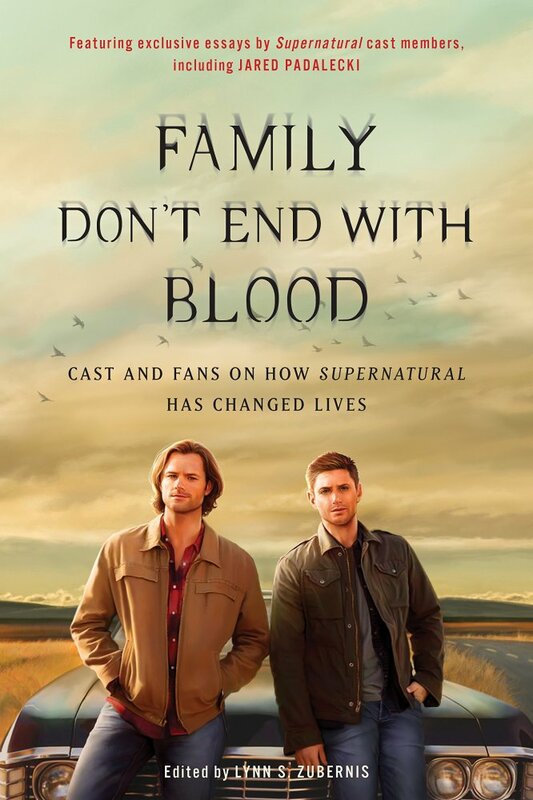 Misha: He gave me a little direction, after I did the demon version once, he gave me a little direction to change it to be an angel, and he told me they hadn’t been down on earth for two thousand years so there would be a quality of just looking at humans as though they were strange alien beings. Lynn: You do that so well. I’m a psychologist, I tend to read people’s non verbals. And there’s this subtle sort of little twist you do, like regarding someone a little too long and sort of speaking a little more slowly, because you’re not sure of your footing. It’s subtle, but it’s very there. Misha: Cool. It’s fun to play with that. The origin story of the famous Cas head tilt! And the rest is history. 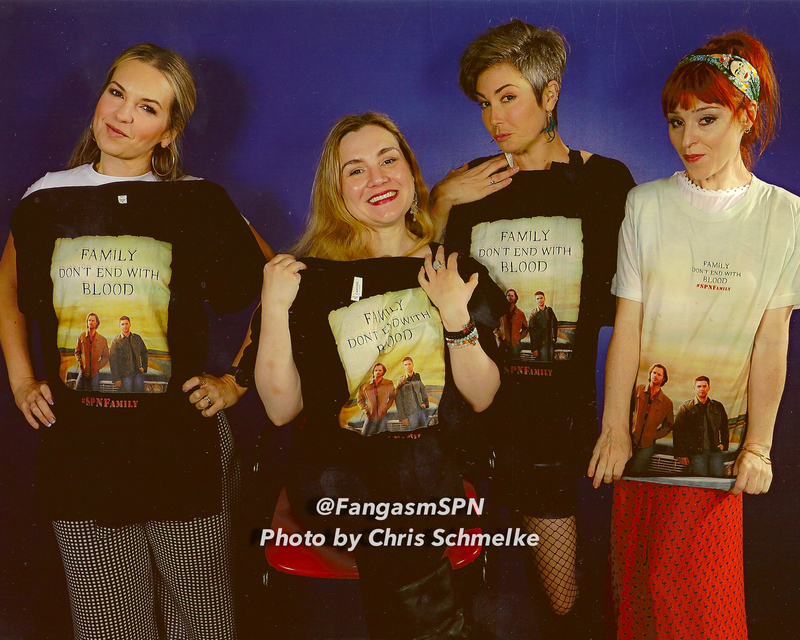 A lot of our first chat with Misha is the last chapter in Fangasm Supernatural Fangirls – he was pleased when we told him he has “the last word” in the book. 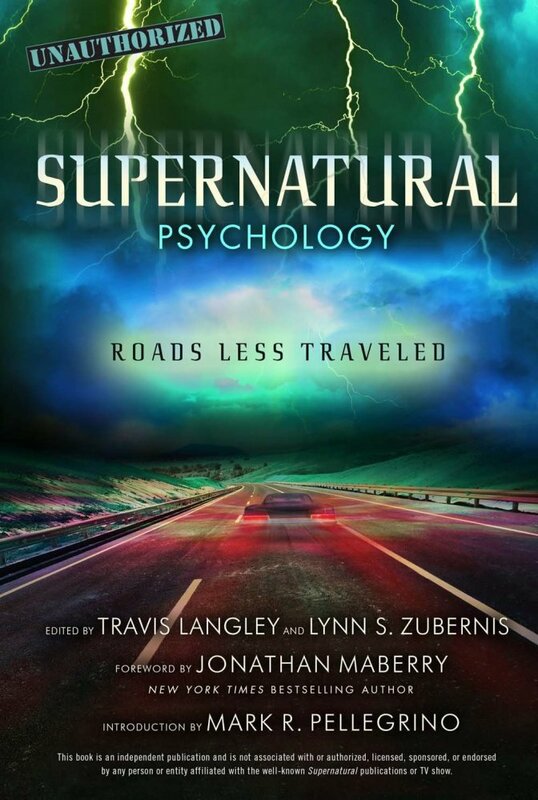 A few years later, when we were putting together our next book, this one of contributed essays on Supernatural in Fan Phenomena Supernatural, we asked Misha if he wanted to write a chapter. He did – and it’s still one of my favorite essays ever. It’s surprisingly sincere and personal, but it’s also funny as hell. Maybe none of that is surprising, actually. 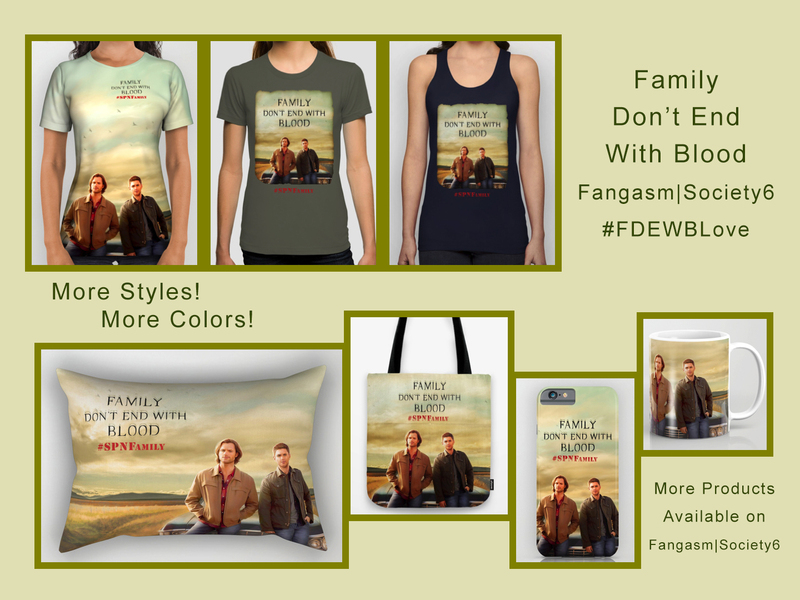 Fandom and its many fascinating aspects have, for the most part, blindsided me. Not only did I not see it coming, but previously, I was only peripherally aware of its existence. For me, discovering this fandom was pretty much like getting kidnapped by a dragon. I didn’t expect being inducted into this world to be anywhere near as strange, wonderful or overwhelming as it has been. I didn’t expect any of it. 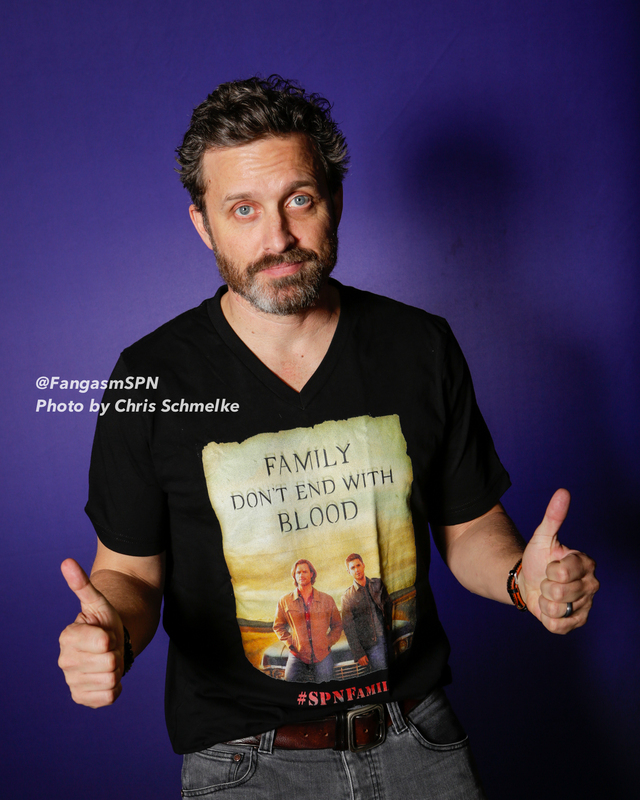 I remember watching the season premiere of Supernatural Season 4 – the episode in which my character was introduced – with the producers and writers at a little screening party at producer McG’s offices in West Hollywood. Sera Gamble, a writer and producer on the show, was standing next to me as we watched. When my character came on-screen, she leaned over and whispered to me, ‘Your life is about to change.’ I thought, ‘That is a truly arrogant thing for a producer of a CW television show to say. I’ve been on plenty of television shows. My life is going to stay exactly the same, I don’t know what you’re talking about.’ Well, Sera, I think I owe you an apology for that thought. I’m sure Sera understood – but she was totally right! 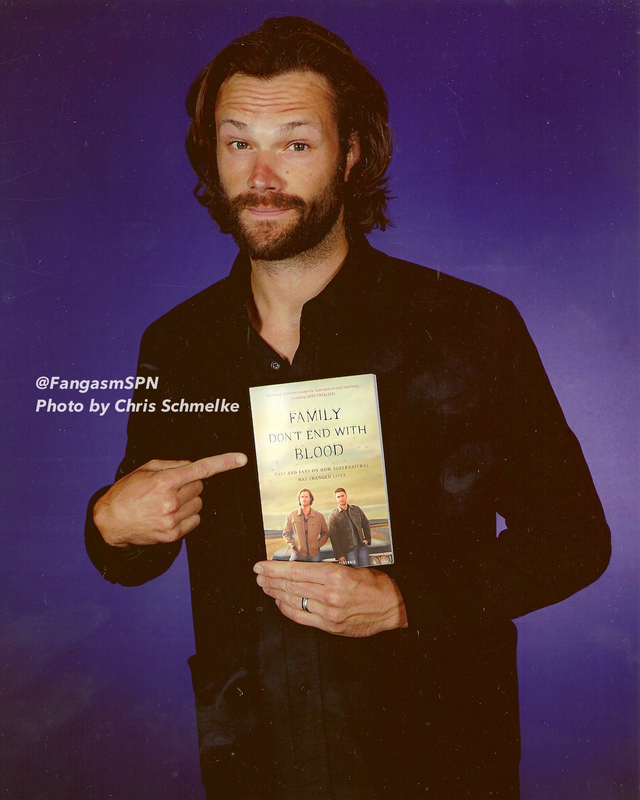 Misha also wrote a chapter for Family Don’t End With Blood, from his perspective almost a decade later. 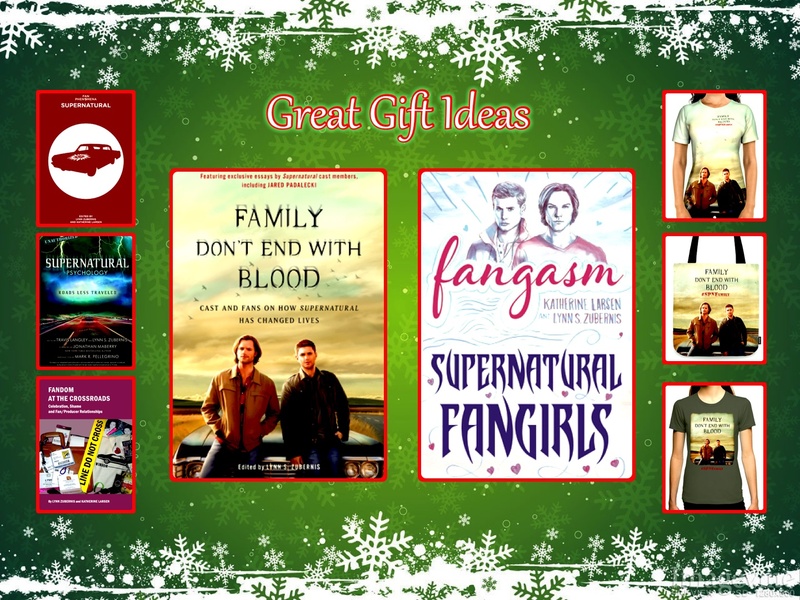 A portion of the proceeds from every sale benefits Random Acts, the charity he founded shortly after this amazing journey began – and one of the ways in which Misha has been changing the world ever since he realized he had a platform that allowed him to do so, thanks to playing Castiel on this little but long-lasting television show. Happy 10 years on Supernatural, Misha!